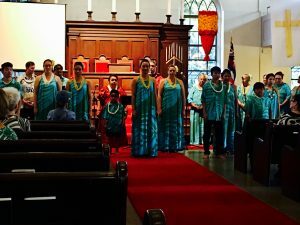 On April 23, 2017, we celebrated Earth Day and Kawaiahaʻo Church’s 197th birthday at a special service! Our keiki wore the shirts they created for Earth Day and sang in front of the congregation. Following the service, our families enjoyed a church-wide picnic! 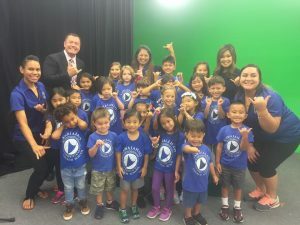 Our keiki sang their hearts out on KHON2 TV this morning! They were previewing our upcoming Earth Day Service. Thank you so much to our keiki and families for waking up so early and sharing your sunshine with all of us!